Is there a small rebel in you? A thirst for being distinguishable? Then you would love Avrom. It has that subtle nature of being different; of standing out from the crowd. 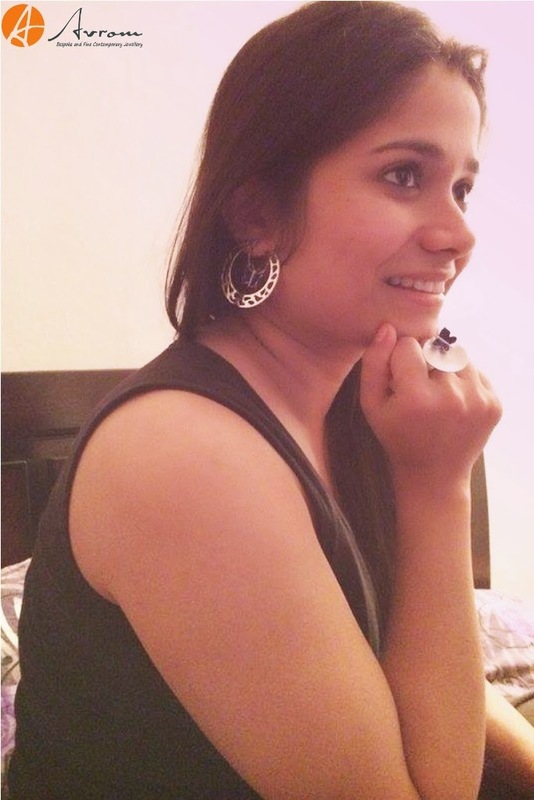 Well why should Wedding Storyz say much, as usual we have an amazing lady, Mrs Juhi Juyal Trivedi the quintessential modern working woman who adores her jewellery and hence chooses it carefully; to vouch for Avrom. And also we have a few words of wisdom from the magician who works wonder behind the Avrom brand, Miss Priti Sharma, the managing director of the brand. We had a candid interview with Juhi to know why she went contemporary and about her experience with Avrom. And quick questions for Priti as to give us an insight into contemporary jewellery making. Tell us something about yourself, knick-knacks, tidbits. My name is Juhi Juyal Trivedi and I work as a software engineer with Sun life and live in Delhi, married to the love of my life. And usually have a very busy schedule. I get time for myself over the weekends and that is when I like to go for shopping and spending time with my husband. Share with us your love for jewellery; are you very fond of it? Or do you use it occasionally? What made you choose Avrom? What kind of jewellery did you get designed from Avrom? My husband bought me a pair of silver earrings and a ring as a surprise. They both have cute little butterflies on them. 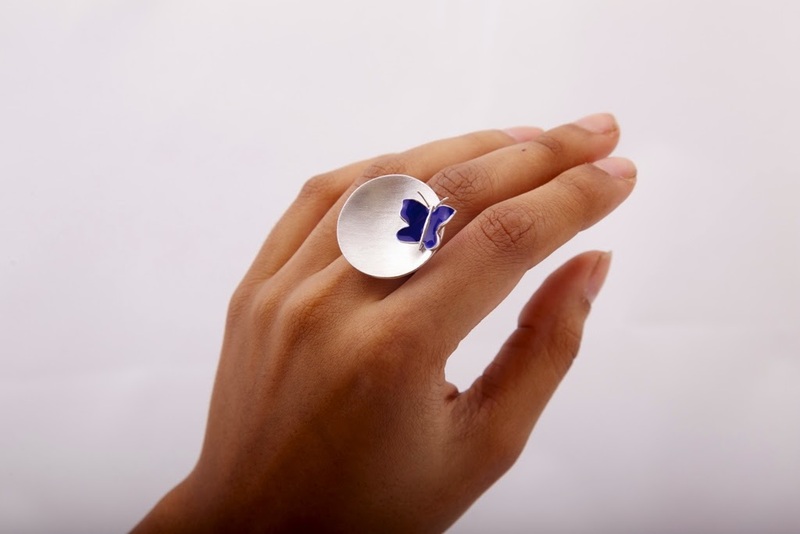 The ring has a special feature – the butterfly moves around and it is so much fun to play with it at work! What was your concept? Was the end product as you desired it to be? Since it was a surprise I don’t know much about the concept behind it. (Mr. Trivedi should definitely win the best hubby award! How thoughtful of getting a signature gift for the wifey) But I can definitely say that both the jewellery items are very precious to me. They are gorgeous and stylish. They are anything a modern woman will love to the core. Tell us something about your brand of jewellery? What is the concept behind it? Avrom as a fresh jewellery brand in the international market has a very original concept with two sides to its face; one side takes care of contemporary silver jewellery for men and women with really quirky and extraordinary designs. As we know silver jewellery is not widely bought by masses within India, we at Avrom break all shackles of traditional jewellery concepts like shining yellow gold and offer to people designs in silver that they can’t take their eyes off. 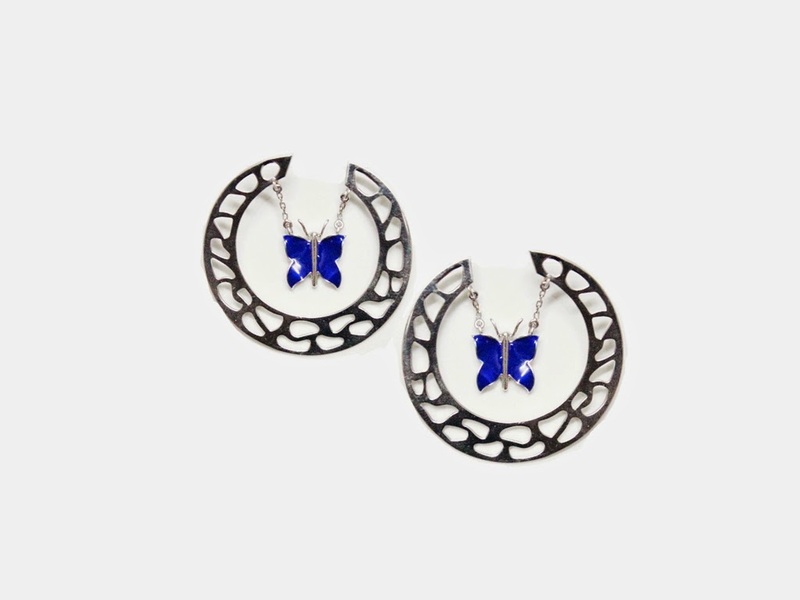 Our statement kinetic butterfly cocktail ring is hot in the market & Its unique feature is that the round disk with the blue butterfly moves around with the wearer’s hand’s mobility. The other side of Avrom is even more interesting as we literally turn a layman’s idea into wearable jewellery pieces. We specialize in creating bespoke and custom made exclusive jewellery. The services that we provide for bespoke jewellery are phenomenal – we start by sketching their initial ideas and in no time like magic have a beautiful design of their choice drawn on paper to be beautifully crafted in gold/silver/platinum and diamonds or whatever material the clients desire for. It is such a different name, what does it mean/represent? What’s in a name as they say? Avrom is an international brand and the founders weren't settling for less. (Well I am sure most of us find it unique and were wondering what it means, so here it is guys!) Unlike the spelling suggests the pronunciation is Aww-rum. Most of us have studied chemistry in school and we somewhere vaguely remember that in the periodic table the chemical symbol for Gold is AU and the full form of AU is Aurum. Aurum is the Latin name for gold, thus derived Avrom as a varied spelling for Aurum. What is unique about the design training that you have undergone? Would you like to share any particularly challenging college project/class (in general any practical activity that will differentiate your designing skills from others even if it is not academic)? As the chairman and managing director of Avrom Jewels I have undergone a rigorous 5 year long training programme to becoming a specialized and professional jewellery designer (phew!). I am a Bachelors graduate with an Honours degree in jewellery designing and making from the United Kingdom (ladies and gentlemen be ready for your fix of European jewellery designs). My course was very hands on with no book's and not even a single exam. At university my course was structured in a way that helped me bring my creativity out in the form of beautiful jewellery. 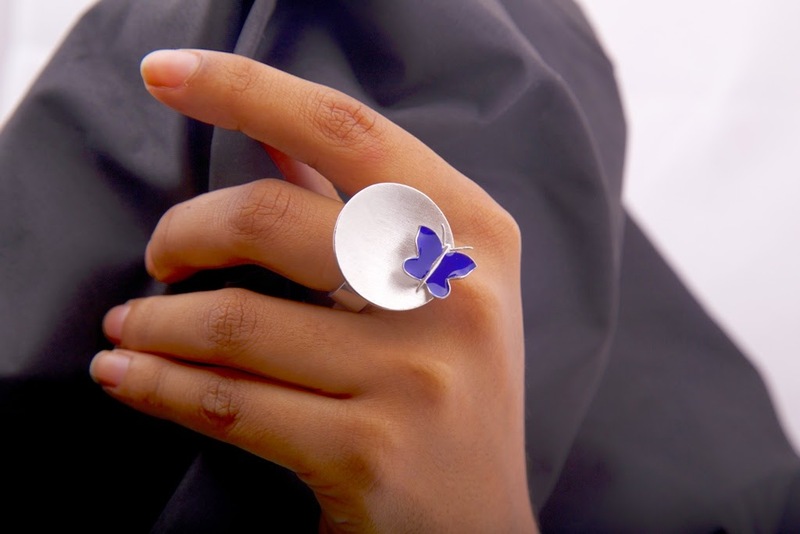 The main feature was that all jewellery was supposed to be handcrafted by the student, right from sketching an idea to evolving it into a design to actually hammering and soldering metal sheets and wires in the workshop; as a designer we are trained to know it all and do it all. 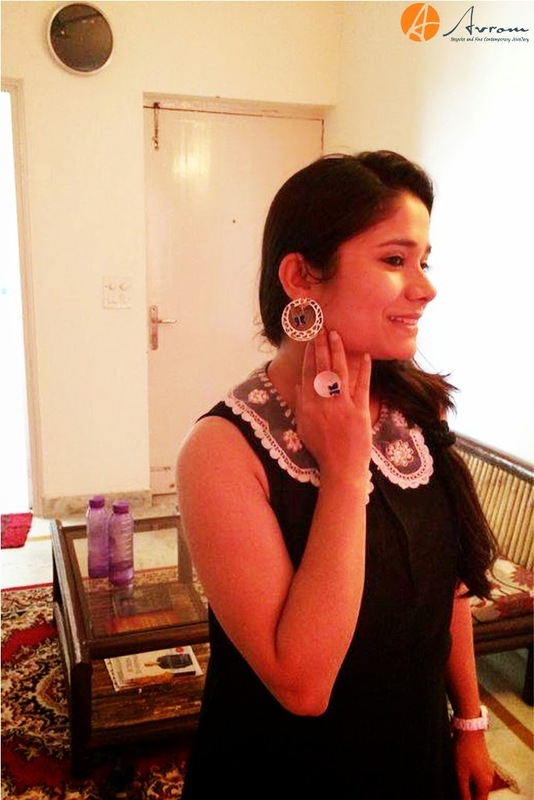 The turning point of my jewellery student journey happened in the year 2011 when I won the first prize in a yearly competition held in my university organized by a reputed jewellery company named Michael Jones. We were given a brief to design and handcraft men’s jewellery. It was my first experience for designing men’s jewellery, I decided to make a pair of lush cuff links using white gold and diamonds. The joy of handling real diamonds for the first time was immense and I got featured in a UK based magazine named Imge. Received the opportunity to assist a designer for London Fashion week the same year, did my confidence sprout up? Yes, it surely did and here I am running Avrom and chasing my dream which I had since the age of 12. How do you get the ideas for designing contemporary jewellery? What is you inspiration? What drives you/motivates you? Being a creative person I believe inspiration is Omni-present, to create out of the box and statement jewellery pieces you have to be open minded and receptive of whatever is being thrown at you in the form of information. Sometimes I would just look at architectural buildings and my mind would start transforming bits and pieces of the structure into forms of jewellery pieces. Sometimes it’s the colliding waves in the sea that help me create beautiful patterns and textures. For me, I am constantly creating something in my mind and have that little power of quickly transforming that creation onto paper to give the world magical pieces to wear and flaunt (so many reasons to go fashionista!). What drives me is the desire to share my creativity with the world in the form of lovely jewellery. It is magical how a little idea from within my mind transforms in a way that someone wears it on their body. And Avrom is my little baby. It’s my conception and creation. I see Avrom growing as one of the world’s best jewellery brands ever. And it definitely sounds like a cliché but the people who motivate me the most are my clients who go ‘wow that is beautiful’. That appreciation makes me more and more passionate to make Avrom reach the highest of the highest pinnacles in international fashion and jewellery industry. Would you like to share a few thoughts about the pricing and shipping policy; the targeted customer base and about how you ensure customer satisfaction?